We’ve been cultivating our unique small-cap investment focus over four decades. 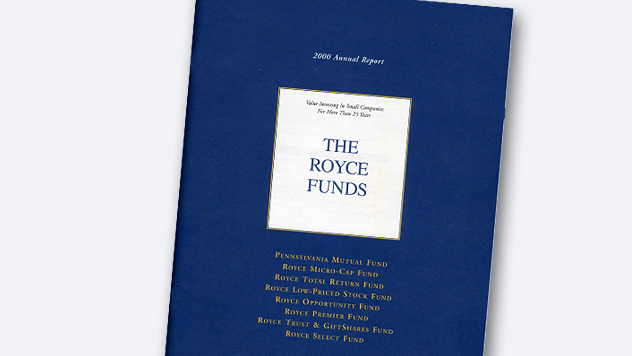 Chuck Royce began managing our flagship fund, Royce Pennsylvania Mutual Fund, in 1972. As the decade went on, Chuck's goal became clear—to find small-cap stocks that looked greatly undervalued relative to his assessment of their value as a business and then wait patiently—sometimes years—for other investors to recognize the qualities that we saw in a particular business. The story of the stock market of the early to mid-70s is likely to sound eerily familiar to a contemporary reader. Its hair-raising volatility, accompanied by a level of economic uncertainty unseen since the Great Depression, conspired to break the spirit, if not the bank account, of many equity investors, including those in small-cap stocks. Between 1969 and 1974, small-caps suffered some of their worst losses since the '30s. Losing substantial amounts of money led some to the idea that safer, more stable investments were preferable. While today's investors have been flocking to bonds and money market funds, the years preceding 1973 saw a marked preference for larger, higher-profile stocks on the idea that they were less risky and more likely to be profitable. The result was what has come to be known as the "Nifty Fifty" market, in which a small group of large, mostly multinational firms would usher in a Golden Age of risk-free high returns. It was not the first or the last time that dreams of investment Utopia seduced some while cooler heads in the market shook in bemusement. And of course not all investors were ready to abandon small-cap stocks even as a sizable consensus held at the time that the safest and surest route to growth was via blue-chip names. However, by the end of 1973 the "Nifty Fifty" had gone bust, while the U.S. economy entered a period of stagflation, in which inflation and recession inflicted such a high degree of double unhappiness that a new economic indicator was born—the Misery Index. Investor confidence was rapidly eroding, a process made worse by the Vietnam War, Watergate, and nationwide gas shortages, all of which combined to throw the country into a trying period of self-doubt. During this confusing and difficult epoch, the cornerstone of Chuck's investment philosophy began to take shape. Two insights were crucial for developing the disciplined approach that we still use today. First was the idea that preserving capital was as critical to successful long-term growth as growing it. An investment approach that lost less during downturns and remained competitive in more bullish periods could provide very strong absolute returns over periods of three years or more, while also being likely to best its benchmark over these same long-term time spans. The second insight was that such an approach could work in the small-cap asset class. Indeed, it could potentially work more effectively there than in other asset classes because of the inefficiency and related lack of institutional attention paid to smaller companies. 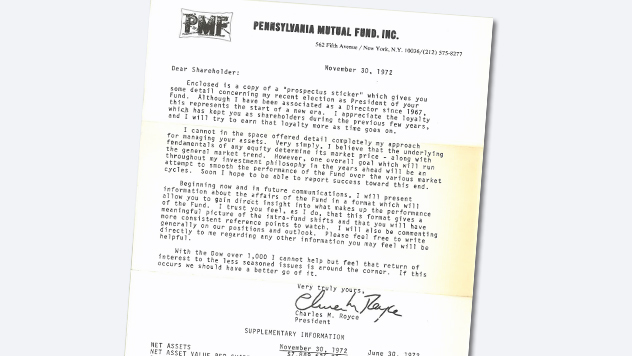 By mid-1974, Chuck found himself among a small handful of managers who were willing to invest primarily in lesser-known, small- and medium-sized companies (as they were often described then). This was an asset class where few others believed that conservatively capitalized, financially strong companies existed. Bucking the consensus view, Chuck sought out small-caps with attractive balance sheets, high internal rates of return, the ability to generate free cash flow, and long-term earnings records. Considering how well small-cap stocks were doing, there was an expanding audience eager for the message. The '80s were a decade marked by enormous political, economic, and cultural changes. Recession replaced inflation as the nation's chief economic anxiety before it gave way to concerns about a ballooning federal budget deficit in the middle of the decade. Economists feuded over whether the Reagan Administration's supply-side economic policies were the engine that would drive the nation back to prosperity or the millstone that would sink us in a sea of debt. Although they have passed into our collective memory as a period of conspicuous consumption, merger-mania, booming markets, and questionable haircuts, the '80s began with a record high prime rate of 20% followed by our nation's worst recession in 40 years. Even as the economy began to recover in 1982, the stock market rode a rollercoaster through the end of the decade. After barely matching rates on passbook savings accounts from 1974 through mid-1982, large company stocks mounted a furious comeback that lasted until the epic crash on "Black Monday," October 19, 1987. This watershed event was followed by the junk bond debacle, insider trading scandals, and the Savings & Loan Crisis of 1989. The stock market recovered its balance, only to be rocked again by a recession that began just as the '80s were drawing to a close. In the midst of all this, Chuck continued to refine and evolve the firm's signature disciplined investment approach. By the dawn of the decade, he was not alone. 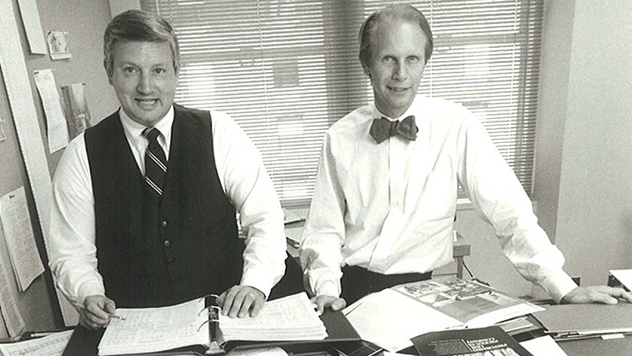 In 1978 Tom Ebright joined the firm and began to assist Chuck in managing the Fund’s assets. Perhaps equally important was his role in spreading the news about our approach and its success. Tom proved to be as effective an advocate for the validity of our take on small-cap investing as he was adept at stock selection. The result was a gradually growing awareness about the work the firm was engaged in. Considering how well small-cap stocks were doing, there was an expanding audience eager for the message. Small-caps led the market from 1974 through 1983—a 10-year stretch that remains the longest consecutive period of outperformance for the asset class relative to large-cap stocks. (Source: Stocks, Bills, Bonds, and Inflation 1997 Yearbook, Ibbotson Associates.) Always firm believers in the cyclical nature of markets, we understood that, while a small-cap approach could continue to perform well, small-cap stocks in general would eventually relinquish this long-held leadership position. Larger companies did resume market leadership through the mid to late '80s, while Chuck, Tom, and their growing staff continued to focus on finding inefficiently priced small companies. Throughout our first two decades and continuing through today, we believed that these inefficiencies would eventually be recognized by other investors and result in solid returns for our shareholders. 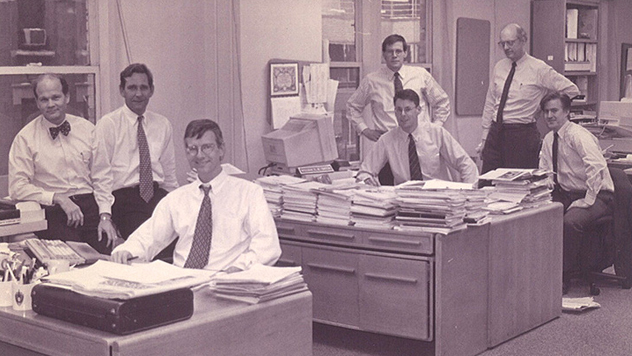 Buzz Zaino and Charlie Dreifus joined the firm early in 1998 and gave us the strongest investment team that we had enjoyed up to that point in our history. 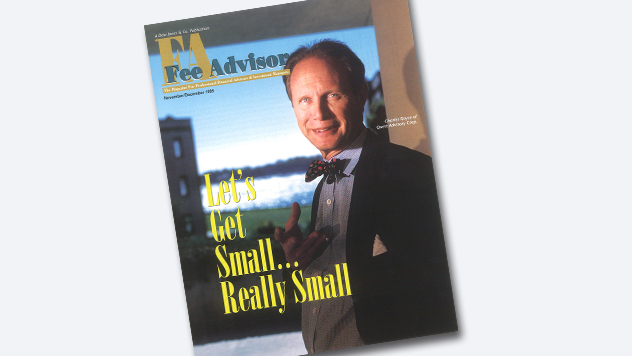 A decade full of critical developments for small-caps, the '90s also saw dynamic performance for smaller companies and important changes for the firm. The sector grew more popular and the parameters of what constitutes small-cap expanded by the middle of the decade to include companies with market capitalizations up to $1 billion. The increase in both cap size and popularity meant that small-cap stocks were not what they once were; that is they were no longer quite as small, unknown, or under-owned. As of December 31, 1999, the weighted average market capitalization of the small-cap Russell 2000 Index was $1,360 million, compared to $140 million as of June 30, 1985. Small-caps gained increasing recognition as a professional asset class, with the most significant growth occurring between 1992 and 1997. Morningstar listed only 20 small-cap funds in existence as of December 31, 1982. This compared to 98 funds as of December 31, 1992 and a whopping 301 as of December 31, 1999. The Morningstar universe of small-cap funds includes only the oldest share classes of funds that fall under the Morningstar Category of Small Blend, Small Growth, or Small Value. Early in the decade, we began to observe that the small-cap market was bifurcating into two distinct sectors based on capitalization. What we learned from these observations had a profound and lasting effect on the way that we structured our portfolios going forward. The contours of this shift remain in place, even as the market cap ceilings have risen over the last 20 years. The upper tier of the marketplace as a whole we refer to as small-cap. 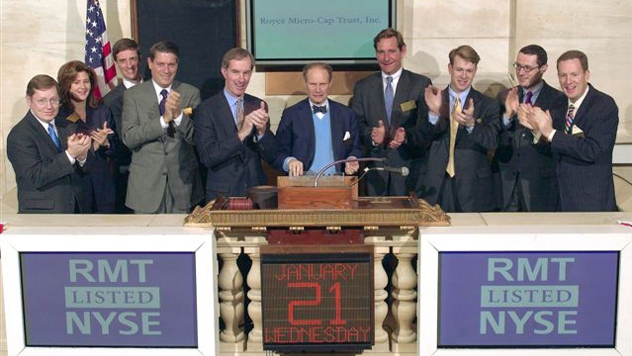 Today it encompasses companies with market caps between $750 million and $2.5 billion. This area possesses all the attributes of a professional asset class: a higher level of institutional attention, strong price efficiency, and substantial competition among investors. In the early- to mid-'90s, we developed the conviction—still in place today—that a more concentrated approach, which amounts to taking more specific stock risk, is most appropriate in this range of the small-cap market. The lower tier we refer to as micro-cap. It includes companies with market caps up to $750 million. Today's micro-cap asset class more closely resembles yesterday's small-cap asset class: a thinly researched, inefficiently priced, somewhat volatile sub-sector whose numerous issues generally go unnoticed by institutional investors, but one that offers substantial opportunities for long-term investors. There are greater trading difficulties and liquidity constraints with micro-cap companies (just as there were historically with small-caps overall); therefore, we believe that broad diversification remains the appropriate strategy in the micro-cap space. As critical as these changes were to the firm, equally significant were the additions to the firm's investment staff. Chuck hired Whitney George as a research analyst in 1991 who began to play a role in managing some of the newer portfolios that we launched following the introduction of Royce Premier and Micro-Cap (then known as Royce OTC) Funds in 1991. The firm's rising profile and our desire to tap other opportunities in the small-cap space led Chuck to hire two managers he had known for many years. These were friendly competitors he respected for their success as small-cap specialists who each used unique investment approaches. 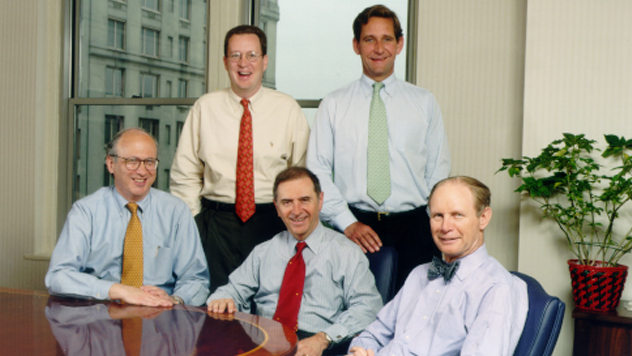 Buzz Zaino and Charlie Dreifus joined the firm early in 1998 and gave us the strongest investment team that we had enjoyed up to that point in our history. The decade also included one piece of very sad news, as Tom Ebright passed away in 1997—a great loss for all of us at the firm. Soon after the Internet Boom went bust, styles like ours became suddenly fashionable. Other investors very quickly re-discovered the merits of strong balance sheets, established records of earnings, and free cash flow—traits that we, needless to say, had never forgotten or stopped searching for. Arguably our most challenging decade, these years were distinguished by the extraordinary Internet bubble, the horrific events of 9/11, a real estate crash, and the worst global financial crisis since the Great Depression. In something of a paradox, this period also saw the greatest asset growth for the firm as we moved from total assets under management of $2.5 billion on December 31, 1999 to $35 billion on December 31, 2009. We also markedly expanded our distribution reach by joining Legg Mason in the Fall of 2001. Other changes were equally significant. The emergence of distinctive performance patterns for small-cap and micro-cap stocks first began to play a major role in the way that we structured portfolios and thought about the small-cap world as a whole in the 1990s. In the ensuing decade, there were two major developments. First was the acceptance of small-cap investing as a professional asset class, especially on the part of institutions. The second major development was internal. 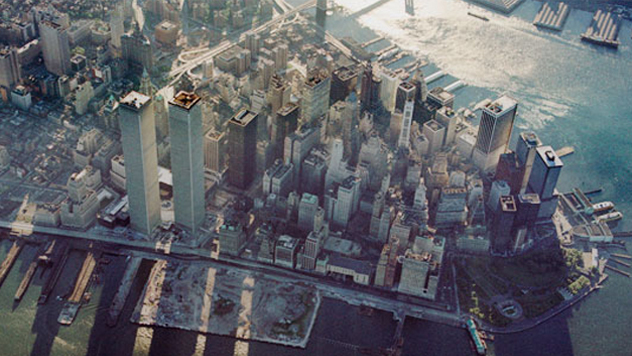 As a firm, we began to devote more time and resources to non-U.S. companies. The number of opportunities in micro-cap and small-cap companies across the globe is increasingly vast, with more companies to choose from and greater total market capitalization than what exist in the U.S. We believe that these factors present substantial opportunities to find quality businesses that are mispriced. In addition, the global marketplace generally offers higher dividend yields—an important component of total return. While we were very pleased with the success and gradual recognition that we and others in the small-cap investment business had enjoyed, acknowledging the validity of what we and others were doing was slow to come from the institutional side of the business. However, by the early years of the Aughts (aka the first decade of the new century) that acceptance was coming. Its arrival at that time was somewhat ironic. Beginning in the mid-90s and lasting into the spring of 2000, there were a lot of questions about whether or not value investing was viable. Large-cap stocks had ruled the roost for much of the '90s—just as small-caps led in the '80s. Succeeding large-cap stocks were what some first described as a whole new kind of equity, one that was not to be valued for revenues, earnings, or cash flows but on click rates and eyeballs. The era of the Internet Boom, in which certain web-based companies found themselves among the largest market caps in the U.S. within minutes of their IPOs, led many to regard value investors as quaint relics of an earlier, soon-to-be-forgotten age. As has always been our wont when questions arise about the worth of our disciplined, risk-averse approach, we said little and kept working. These years saw substantial growth in the firm's assets and in our investment team. Younger analysts, including Jenifer Taylor, George Necakov, Jim Harvey, and Bill Hench, began to manage portfolios while experienced portfolio managers also joined the firm, such as Jay Kaplan, Chip Skinner, Lauren Romeo, David Nadel, and Steven McBoyle. Each of these professionals has made important contributions to the growth of the firm and the evolution of our distinctive investment approaches. Soon after the Internet Boom went bust, styles like ours became suddenly fashionable. Other investors very quickly re-discovered the merits of strong balance sheets, established records of earnings, and free cash flow—traits that we, needless to say, had never forgotten or stopped searching for. The terrorist attacks and the tech bubble both contributed to a market that staggered downward from March 2000 into October 2002, a period in which small-cap value once more lost less than its growth counterparts. From that autumn bottom, small-caps cruised upward into July 2007—a nearly five-year up phase that was rudely interrupted by the recession and related housing bubble that together stopped the bull in his tracks. Any hopes that the bearish trend would be short lived were dashed by the catastrophic events of fall 2008, when the failure of Lehman Brothers touched off a near-total global panic, the severity of which was mitigated by the actions of the U.S. and other developed nations' governments. As the decade drew to a close, many of the globe's major economies and equity markets were beginning to recover. Indeed, the ability to be patient is probably the single most important quality that an investor who seeks strong long-term returns can possess. Unfortunately, the recovery proceeded more slowly and fitfully than desired. After roaring back in March 2009, the market settled into an unfortunate pattern in the spring of 2010, characterized by brief rallies in which more speculative, high-growth issues performed best and downturns in which the selling was indiscriminate. Large numbers of investors were choosing to get out of equities—and stay out—resulting in a large-scale capitulation that has rivaled anything we have seen during other bearish periods when results were far worse. Investors have been fleeing or avoiding stocks for many reasons—because they lack confidence in political leaders both here at home and abroad to deal effectively with the challenges of stimulating the economy and responsibly coping with enormous debt; because they cannot bear the barrage of headlines with their seemingly endless parade of bad news; and because they have simply run out of patience with the daily swoops and dives of a market struggling to make sense of it all. In such an unprecedented time, patience is especially critical. Indeed, the ability to be patient is probably the single most important quality that an investor who seeks strong long-term returns can possess. It is easy to talk about the importance of patience and discipline when markets are solid and portfolios are doing well. Yet at some point these things will change—and both will be tested, as they have been in this market. It has been a very difficult time, but we believe it is passing. When it finally does, our disciplined approach will remain and, we believe, be effective. 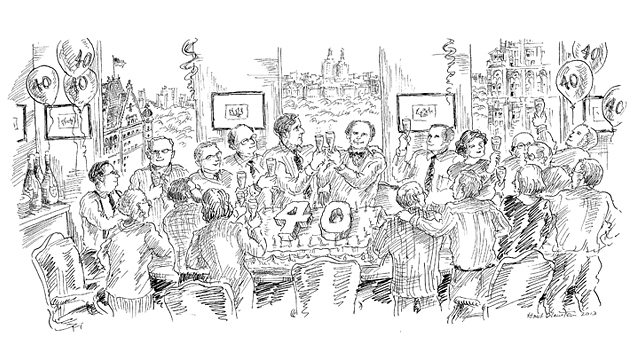 As we celebrate 40 years of small-cap investing, we look back at what we have seen. Through all manner of markets—many of which were thought to establish a "New Normal"—we have never wavered in our convictions. We still believe that equities remain the best way—maybe the only way—to beat inflation and build wealth over the long term. We are confident that we can create portfolios that can grow commendably, especially in the more historically typical market climate that we believe we saw in the second half of 2012.